My name is Antonio Meccariello. My grandfather was a bespoke shoemaker, and my parents created a small factory where they produced the uppers. They became well known for their precision work that they were soon contracted by designer brands in France and Italy to produce their shoe uppers. After graduating high school and doing my military service, I studied leather pattern making and shoe making in the Ars Arpel school in Milan. I then apprenticed under maestro Adriano Lunati in Milan, and upon returning to my hometown I further studied under several local shoemakers. 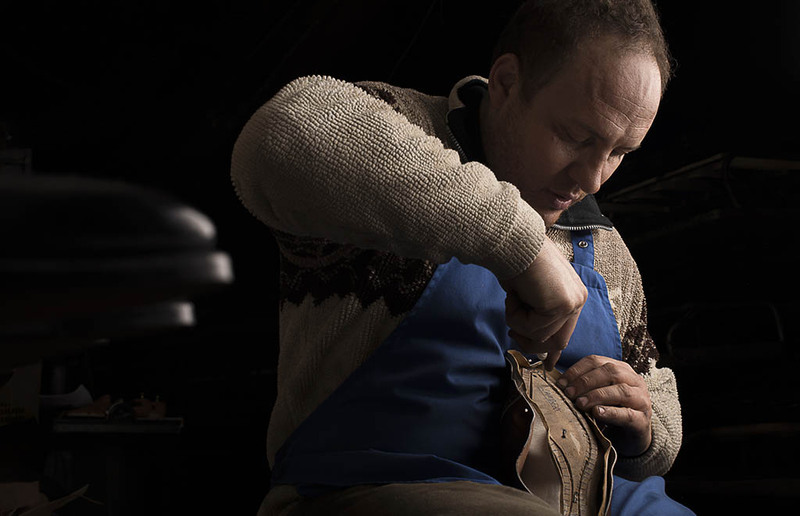 Afterwards I established my own workshop making bespoke shoes for clients in the Benevento region and Napoli. I was fortunate to get the attention of Mariano Rubinacci who had seen my shoes worn by some of his clients and he approached me with the idea to collaborate and create a Ready To Wear series under his brand to be sold in their famous Sartoria Rubinacci in Napoli. This was the start of my ready to wear work making handwelted shoes in series production for stores. Soon afterwards, I was approached by Ciro Paone (the founder of Kiton) to establish a shoe making workshop for the Kiton brand. I went into partnership with Ciro Paone and Antonio de Matteis in establishing this company. After two years I sold my shares in the company so that I could focus on my own workshop and clients.